In 2014, perturbed by the utter dearth of reading choices in Bengali for children who are so irrevocably tethered to their devices, the Kolkata-based Pathok Publishers set itself the task of releasing digital impressions of ages-old literary gems. 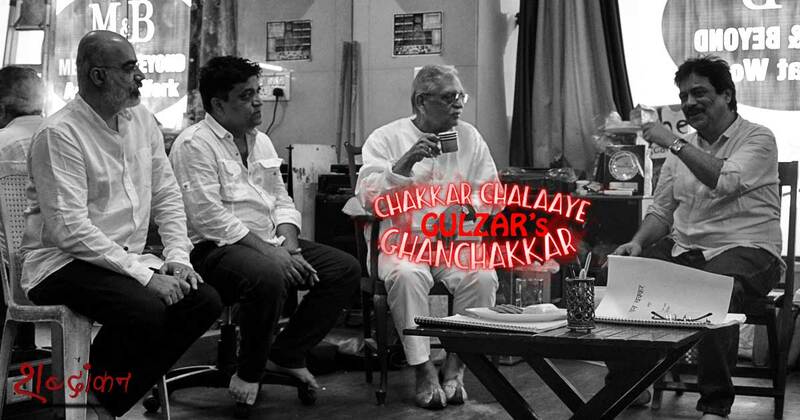 Adapted from Shakespeare’s Comedy of Errors, Chakkar Chalaaye Ghanchakkar is the play on which Gulzar's film Angoor was based. The story is about a pair of twins separated in childhood in a sea voyage, named Ashok and Bahadur. They grow up, go their own ways, one living with his wife, sister in law and servant in one city and the other a bachelor, living with his mother and servant in another city. They eventually meet when the bachelor duo arrives in the city of residence of the other to buy some property. Although this pair has never been to this region, everyone seems to know them well. Suspicious and wary of this,the visiting Ashok and Bahadur suspect a gang at work trying to rob them of the money they have brought. Unable to get anyone to clarify how they are known to people from this city, they decide to complete their business and return home. Little do they know that their departure will be substantially delayed when two women show up claiming to be Ashok's wife and sister-in-law.And from there begins the journey of fun with not just bystanders but even spouses mistaking one for the other! In just over two years, they have amassed a considerable catalogue in which Sarat Chandra Chatterjee, Sukumar Ray and Rabindranath Tagore jostle for elbow space once again, but this time it’s on a virtual bookshelf. One modest title, issued in December last year, acquires special resonance this week. It is a version of the 1869 play, Bhranti Bilas, from Bengali Renaissance figure Ishwar Chandra Vidyasagar. A free rendering of Shakespeare’s The Comedy of Errors , this was one of the early adaptations of the bard’s work in an Indian language. Almost a century and a half later, theatre director Salim Arif has mounted Chakkar Chalaaye Ghanchakkar , yet another iteration of the oft-repeated tale of comic confusion arising from two sets of identical twins separated at birth. And once again, a calamitous shipwreck sets everything up. Staged under the aegis of Aadyam, Arif’s play is a direct adaptation of Gulzar’s classic Angoor , which is also based on Shakespeare’s work. The legendary screenwriter, who turns 82 next month, has reworked the script for the stage while retaining much of the film’s dialogue. Angoor owes a debt to both Shakespeare and Vidyasagar. The 1963 Bengali comedy film Bhrantibilas, with Uttam Kumar, was a contemporaneous adaptation of Vidyasagar’s text. That film was remade in Hindi as 1968’s Do Dooni Char , on which production Gulzar served as lyricist and dialogue-writer long before directing his own interpretation in 1982. The title of Arif’s play is taken from a Manna Dey and Krishna Kalle ditty from the 1968 film, composed by Hemant Kumar. Many more Indian films have followed in its tracks, including the remake that Shah Rukh Khan and Rohit Shetty have been threatening to unleash for years. But Angoor is still considered the definitive filmed version, and perhaps not just in India. In his book, Worlds Elsewhere , the British Shakespeare aficionado, Andrew Dickson, mentions how it was remarkable that such a faithful adaptation of the play “done with huge heart” was so popular in India, considering how it had never been filmed in anything like its original form in the West. Dickson is less charitable towards the film’s music, stating that “the wildly noisy musical score should come with a health warning”. For us, of course, Rahul Dev Burman’s songs were refreshingly different from standard Bollywood fare. It would be interesting to note if Arif’s version has musical interludes, and not just as comic accents or slapstick cadences, since lip-synching on stage is a strict no-no. One of his leads, lyricist Swanand Kirkire, is certainly no slouch in the singing department. This is Kirkire’s first stage outing since playing Death in Manav Kaul’s moribund Colour Blind . That was an interesting tick on the résumé for a multi-faceted talent, and Chakkar Chalaaye Ghanchakkar pairs him with a young actor with great acting chops, Mohammed Zeeshan Ayyub. They attempt to stand in for Deven Verma and Sanjeev Kumar respectively. Those are some big shoes to fill. In cinema, Ayyub has been both the perfect foil to leading men in sensitive dramas like Shahid, and the comic sidekick who steals scenes with impunity in capers like Tanu Weds Manu Returns . 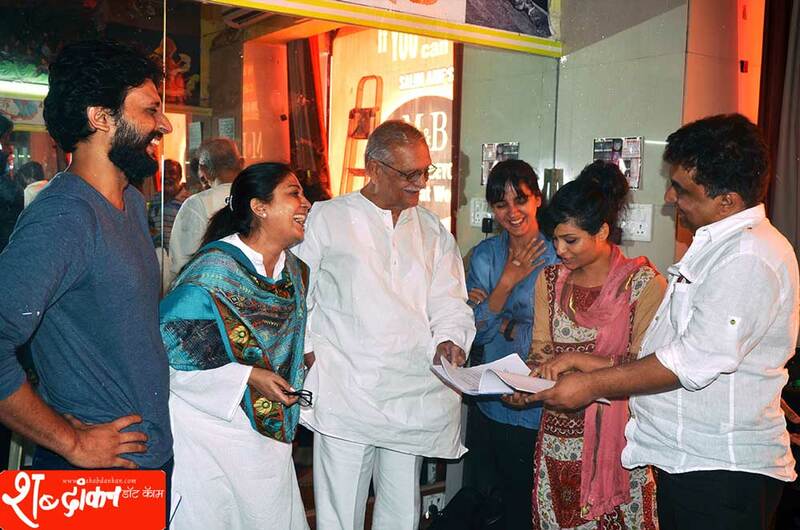 Last month, he returned to the stage with Iss Kambakht Sathe Ka Kya Karein , a marriage parable which will continue its run at Prithvi Theatre in August. Although the actors are separated by more than a decade, here they will each be playing a set of twins born around the same time. A recent production of The Comedy of Errors staged in India was by the Afghan group, Roy-e-Sabz, and performed in Dari Persian. The director, Corinne Jaber, mounted the play in Bangalore’s Nrityagram, after a schedule in Kabul was cancelled due to a bomb-strike. Although scholars have long found that the play has little thematic depth in itself, Jaber attempted to bring in the tragedy of displacement so specific to an Afghanistan that has seen three decades of strife, where people are constantly coming back to look for their lost ones. This backdrop of urgency isn’t a feature of the Indian versions, where the mainstay is comedy and to some extent, romance. Especially in the Gulzar film where love blossoms between Sanjeev Kumar and the sister of his twin’s wife, played by Deepti Naval. This suppressed romantic angle has been the subject of much an academic discourse in tomes like Bollywood Shakespeares, edited by Craig Dionne and Parmita Kapadia. Although its situations are hilarious, and the cameos delightful — Yunus Parvez as an Urdu-spouting jeweller is a hoot — what is particularly egregious about Angoor (and the Shakespearean original from 1623) is how it takes class divides so completely at face value. It is disconcerting how two boys brought up in the same household (as each pair is) are aligned so absolutely into their respective roles of master and servant. A 1982 film can perhaps still be seen as a product of its times, and domestic helps are still de rigueur in Indian households. It remains to be seen if Arif takes on these issues headlong, or buries the play in a context that justifies its innate polarities, all in the name of continuing a 400-year-old theatrical legacy that refuses to reach its sell-by date, for better or worse.